Properties in Kokusai Ski Resort average 4.2 out of 5 stars. Property 1: 7min Downtown! Cosy&Modern house! Property 14: Sapporo.NEW!#1 Stunning view from room! 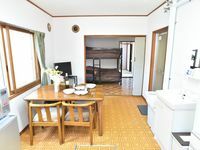 Up to 12 people 2 room plan ・ 1 minute walk from the nearest station ・ 5 minutes subway to Sapporo Station / Odori / Susukino! Property 22: Up to 12 people 2 room plan ・ 1 minute walk from the nearest station ・ 5 minutes subway to Sapporo Station / Odori / Susukino! There are 3 free parking lots!Unlimited Pocket WiFi Available!9 minutes on foot and 2 minutes by car from the station! ! Property 24: There are 3 free parking lots!Unlimited Pocket WiFi Available!9 minutes on foot and 2 minutes by car from the station! ! 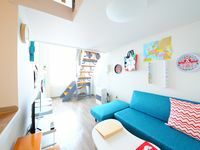 Property 25: 9 minutes walk from Otaru Station!2 minutes by car!There are 3 free parking lots!It is convenient to go to sightseeing spot!Unlimited Wi-Fi! 1 min from the nearest station! Property 44: 1 min from the nearest station! Owner is friendly and helpful. The location is good near to sightseeing. Room , bathroom , toilet are clean. For elderly is better have own car. Owner is responsive. He recommended us to Takikawa Nahohana festival.He can give us the advise and information for the places to visit or sightseeing. THANKS.